“You need to hear the demands of the policy makers, and be open to what we can achieve together. New research questions always arise through this interaction, and the interaction helps us get important information and data. We would simply not be able to do research of this quality without them. The interaction is very important from the researchers’ point of view, and I am sure that our research helps them make better policies, too,” says Naranjo. In Central America, drinking water authorities are in a process of delegating the responsibility of management to small communities. The EfD researchers Roger Madrigal and Francisco Alpízar are exploring the determinants of success as some drinking water resource management is becoming decentralized in Costa Rica. Simply put, why are some communities successful and others are not? 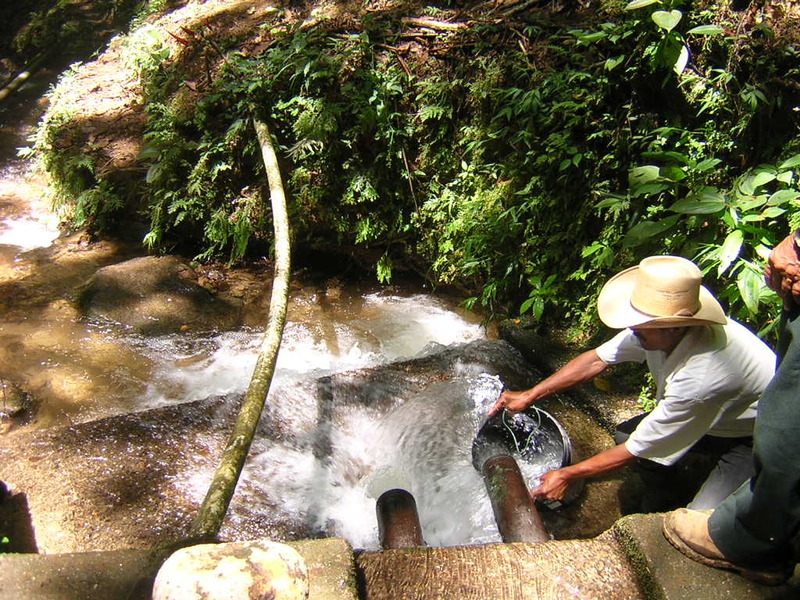 The research project implies a lot of fieldwork, interviews, and interaction at all levels, from the Costa Rican Water and Sewer Service (Instituto de Costariccense Acueductos y Alcantarillados, or AyA) to the community committee in charge of drinking water resource management, the users, and the administrators of the aqueducts. For instance, the environmental economists need to ask the communities about how often they collect samples to make sure the water is clean, how often the pipes are changed, and whether the money they charge is enough to sustain the aqueducts. The EfD research team has conducted different seminars and workshops to present their results, both at the AyA headquarters and in the assessed communities. They put particular emphasis on presenting their results in an accessible way to their mainly non-academic audience. This effort to build up a reputation helps the team gain access to important datasets held by governmental officers. ​“Local organizations are already trying to follow our recommendations on how to measure their performance and regarding the need of having some explicit and well known rules to deal with day-to-day problems. This has been made possible as a result of their involvement in our research from the beginning and because we make an effort to present our results in an accessible way,” says Naranjo (left). At the higher decision-making level, the researchers´ conclusion are being used as input for many changes proposed under a restructuration of DAR (the rural aqueduct division of AyA) towards a more effective support to water community organizations. For example the conclusions on performance measures were incorporated in the guidelines made by AyA, designed towards enhancing the financial capacity and overall long run performance of water community organizations. What the policy makers found particularly relevant was that academia, as an objective actor, was providing a set of recommendations that support the changes that they have been trying to push forward. “In this sense, they were very enthusiastic about explicitly using the results to increase the awareness about the necessity of the new policies,” says Naranjo. She doesn’t even have to wait for the results to guide a policy, signed by a minister, to see that her and her colleagues’ work has an impact. Naranjo stresses the importance of researchers finding key persons in the policy making community to collaborate with, people who understand that research must be done in order to sustain the policy making process. Darner Mora is an important key person for this research project as well as for the EfD project on Costa Rica´s Blue Flag Ecological Program (click to read more). He is the Director of the National Water Laboratory at the Costa Rican Water and Sewer Institute (AyA) and also the Executive Director of the Blue Flag Ecological Program. “Darner Mora is a proactive, science-based person, interested in our research questions and research results. His help and support is of utmost value for our work,” says Naranjo. The EfD researchers also bring in knowledge from their previous policy interaction experiences, for example with the Costa Rican Regulatory Authority (ARESEP) and the National System of Protected Areas (SINAC).